Segnant Technologies can create web applications for you and your clients. These applications run over the Internet and provide instant connectivity to users worldwide. Business, B2B and E-com sites. Read Web Applications in detail. 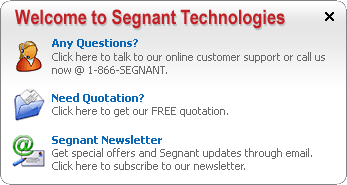 Segnant specializes in providing low cost solutions to custom software projects.